Sports in Barcelona: much more than games. Barcelona is a city we could talk about for years. When we visit this amazing place, we organize several different tours: Gaudí’s works are a must: Sagrada Familia, Park Güell and other incredible constructions such as Casa Batlló, Casa Vicens or Casa Milà. 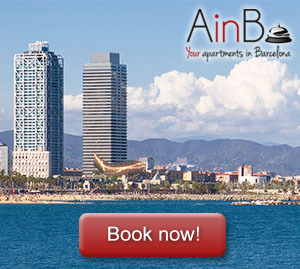 We also will enjoy walking through charming neighbourhoods such as Gothic Quarter, El Born, La Barceloneta or El Raval. Those are some examples of hundreds of activities we can enjoy in the Catalan capital. Art, architecture, painting, sculpture, gastronomy, traditions… but there is something missing here, isn’t it? Sports! Right! Actually, these are great times to visit Barcelona because there are plenty of sportive events we can enjoy. We have already enjoyed all the jewels of Gaudí around Barcelona, now let’s have some sport time! In this article we will present some of the best events related to sports in Barcelona. If you like football, you know what “El Clásico” means. This is the match that faces Fútbol Club Barcelona and Real Madrid, which are probably the best football teams all around the world. Some of the best football players of the globe will be part of this match broadcasted in 200 countries and watched by more than 500 million viewers. So, next April 29th don’t hesitate to get a bus from your design apartment in Miró and go to Camp Nou to enjoy the best football played by icons like Lionel Messi, Cristiano Ronaldo, Andrés Iniesta or Sergio Ramos. This is an annual tennis tournament held in Barcelona every year since 1953. It is played on clay courts at the Real Club de Tenis Barcelona. This tournament is part of the 500 series on the ATP World Tour. Conde de Godó (also known as Barcelona Open) is Spain’s second most important tournament on the ATP tour after the Madrid Open. The tournament is currently being played until the next April 29th. Within the list of players, we find some famous ones such as Rafa Nadal or Novak Djokovic. Rafa Nadal has won the singles title a record ten times. If you prefer sports and speed, don’t worry! The offer of sports in Barcelona is wide and varied. In fact, next May 13th Montmeló Grand Prix is celebrated. Formula One arrives at Barcelona and you can enjoy a whole weekend of fast cars, great weather and a unique environment. Finally, the jewel of the crown in Catalonia: Montmeló Moto GP. In Catalonia, there is a huge passion for motorbikes. In fact, many pilots of the king category were born there: Marc Márquez, Dani Pedrosa, Maverick Viñales, Espargaró brothers (Aleix and Pol) and Tito Rabat. This way, get ready for the next June 17th and enjoy an unforgettable weekend with races and motorbikes.